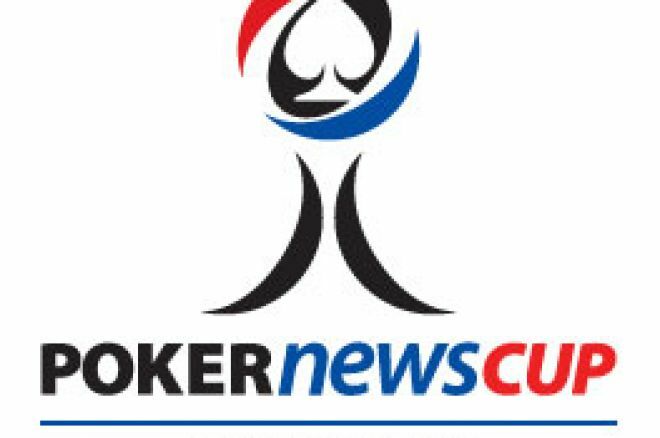 This update of the inaugural PokerNews Cup includes the $230 No Limit Holdem event and the televised Bad Boys of Poker Event. The Crown Casino poker room was abuzz during the world class $10,000 buy-in Bad Boys event, which was eventually won by the popular Gary Benson, who prevailed after a 30 minute heads up battle with Emad Tahtouh. While the 10 man classic was being played out in front of many spectators, I was socialising with many foreign players at the PokerPro tables. The room had a fantastic atmosphere with players coming together from around the world to take part in this popular poker festival. The final table of the $230 No Limit Event was played out earlier that day and many people had ventured down to the poker room to find out the results. The tournament had drawn a field of 501 players for a prizepool of AUD$100,200. The event was eventually won by Janar Kinramees after a tense final hand. The third hand of heads up play saw Andrew Oataway raised to 120,000 from the button, Janar Kinramees moved all in and Oataway insta-called, turning . Kinramees rolled over . The was in the door causing Oataway to jump from his chair, but the rest of the flop was giving Kinramees the flush draw. With a hitting on the turn, Kinramees had hit his flush and Oataway needed a pair on the board. But it was not to be as the river was the . Well done to Janar Kinramees, and a special mention again to Barry Carter who cashed again! Barry just missed the final table in a fantastic result after finishing 4th in the Omaha event earlier this week. The televised 10 man Bad Boys of Poker event was also completed on Wednesday with Gary Benson taking home the crown. This was a showcase event at the PokerNews Cup with four bracelet winners and other notable players providing onlookers with an outstanding exhibition of elite poker. The runner up spot was filled by Emad Tahtouh, who our readers might recall finished 2nd in last years London EPT. The final hand saw both players get their chips all in on a flop of with Benson tabling and Tahtouh . The turn was the and the river the handing Benson a most deserved victory and the $50,000 first prize!